Last month I posted a review of Death Cloud, the first book in Andrew Lane's new Young Sherlock Holmes series. Andrew is very busy promoting the book at the moment but kindly took time out to answer my rather long list of questions. I hope you enjoy reading this interview as much as I have. The information from your publisher describes you as a “lifelong Sherlock Holmes fan” and that you have a “passion for the original novels of Sir Arthur Conan Doyle”. What is it about this character and these stories that so appeals to you? When I was a kid I was tall and thin and a bit geeky, like Sherlock Holmes. I appreciated being able to read books in which the lead character relied on intelligence to get through, not on strength or agility, and who didn’t particularly want to make friends. As far as he was concerned, he had one good friend and that was enough. And he used to sleep a lot when he wasn’t on a case, which appealed to me. Now I’m much older, I’m huge and geeky, more like Mycroft Holmes. Sad, but true. Do you have a favourite Conan Doyle Sherlock Holmes story? I keep going back to ‘The Hound of the Baskervilles’, mainly for the atmosphere and for the fact that Watson spends quite a lot of his time investigating without Holmes around. And there’s that lovely image that Watson sees of a shadowy figure on top of one of the tors, gazing out into Dartmoor. I think it’s a wonderfully put together book. 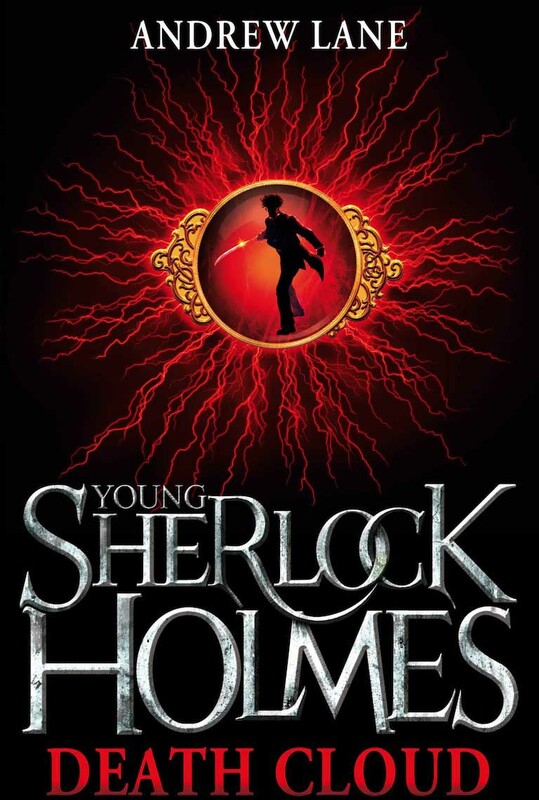 How did you get the ‘job’ of writing these Young Sherlock books? My agent – Robert Kirby, at United Agents – had been working with the Doyle family, and with their representative Jon Lellenberg in the USA, on the collected letters of Arthur Conan Doyle. During the course of discussions, Robert raised the idea of reviving Sherlock Holmes for a young adult audience. He is also, by the way, Anthony Horowitz’s agent, so he knows the ropes when it comes to the young adult market. Having got their blessing, he then came to me because he knew I loved the originals and that I’d always wanted to write a “real” Sherlock Holmes novel (we’ll ignore the ‘Doctor Who’ / ‘Sherlock Holmes’ crossover that I wrote some years back). I said yes straight away, and then spent the next few months writing a proposal setting out exactly what I wanted to do and three sample chapters. The family liked them, Robert liked them, and fortunately Jon Lelleberg liked them as well (and he was the man who could have torpedoed the whole thing, if he’d wanted to. I hear there are approximately 387 Sherlock Holmes fan clubs worldwide, and I imagine a significant number of websites, blogs and Facebook groups dedicated to the character. Did you feel under a lot of pressure when writing Death Cloud? Absolutely no pressure whatsoever, apart from the natural pressure any writer feels not to embarrass themselves. I had such a clear vision of what I wanted to do and to say, and of the essential fight for control of Sherlock’s soul that will form the core of the series, that I just had to let the words flow out as clearly as possible. And being a big Holmes buff myself, I knew I could put in enough obvious and subtle references that I could keep the fanbase happy. After all, I’ve done it with ‘Doctor Who’ successfully enough. I know how these things work. I know what I would want to read if I was the reader rather than the writer. I imagine there are a large number of traditionalists out there who will be hostile towards the concept of a series of books about a teenage Sherlock Holmes. What do you have to say to these potential detractors who will take the idea very seriously? Everyone is entitled to their opinion, of course, and I wouldn’t try to detract from anyone having their say. What I would point out is that if you accept that Sherlock Holmes as a “real” character then he must have had a childhood. Writing about that childhood is a valid thing to do, as long as it’s done consistently with what Conan Doyle wrote (e.g. no spurious appearances by Watson or Moriarty!) Having said all that, I did have my doubts about ‘Young Bond’ as a concept, but Charlie Higson pulled it off with style. Will you be reading fan club sites and blogs to gauge reactions to Death Cloud? I’ll be sneaking some looks, here and there. What I don’t want to do is get myself freaked by the criticism and just curl up into a ball. That wouldn’t be a good idea at all. But it’s always useful to see what people think works and doesn’t work. There are obvious parallels to be drawn between Charlie Higson’s Young Bond series and your new series. Have you read any of the Young Bond books? I have. I actually had to – I’d previously written ‘The Bond Files’ for Virgin Books – the complete guide to everything Bond in books, films, comics, computer games and everything else, so I’ve read virtually every James Bond product there is. I knew Charlie vaguely anyway, from when I wrote some tie-in material for ‘Randall and Hopkirk: Deceased’ some years back, and I was invited along to his launch party at the London Aquarium. He was invited to my launch party, but he was abroad in his palatial Italian villa. One day, I will have a palatial Italian villa. One day. In one short paragraph how would you describe the 14 year-old Sherlock Holmes in Death Cloud? He’s conflicted and he’s lonely. He doesn’t make friends easily – at least, he doesn’t think so – and he probably thinks too much. Do you think your writing of this book was made easier or harder as a result of the fact that Conan Doyle gave very little away about his character’s early years? I think it made it a lot easier. All we really know about Sherlock from Conan Doyle’s writings is (a) his family are descended from a line of local squires, (b) his mother’s side of the family are descended from the French Vernet family of artists, and (c) he has a brother named Mycroft. Everything else is pure speculation, which gave me tremendous freedom of manoeuvre. If Coann Doyle had written thousands of words about Sherlock’s early life then, frankly, there wouldn’t have been much point in me doing this series. How did you go about researching this book? The usual way – books, books and more books. I hunted on Amazon and EBay, in Waterstones and in remaindered bookshops, looking for stuff that would illuminate the era I was writing in (trains, canals, etc). I spent a while in Farnham library, going through their local history section. The Sherlock Holmes details I checked with ‘The Annotated Sherlock Holmes’, edited and annotated by William Baring-Gould, and also with Jack Tracey’s ‘Encyclopedia Sherlockiana’. And for details of the tunnel under the Thames at Rotherhythe I went back to a couple of books in my collection. When Charlie Higson wrote his Young Bond books he had decided it would be a series of five, and also the point in Bond’s life that the series would go up to. Do you already have a plan of how many books there will be in your series? Up to what stage of Holmes’ life would you hope to cover? In my mind, I’m thinking possibly nine books. Anything more than that might be pushing my luck, but you never know. I’ve got to get Sherlock through school years, and then (if allowed) through University. That would take him up to his early twenties, I suppose. So, maybe a book for every year of his life? I already know what the last line of the last book will be. It will be Sherlock, in the chemistry lab at St Bart’s Hospital, having only recently arrived in London, turning around and seeing a man standing in the doorway, and Sherlock says: “You have been in Afghanistan, I perceive.” The man is Doctor John Watson, of course, and this is the point where the Conan Doyle adventures start. In order to become the man we know and love, Sherlock Holmes must have fallen under the influence of a number of ‘mentors’ in his formative years. You have created one of these mentors in the form of Amyus Crowe (I loved this character by the way). How did you go about creating this character? If you look at Sherlock Holmes as a grown up (which I did a lot of), he’s obviously pulled in two different directions. On the one hand there’s the athletic, logical, detail-obsessed, deductive Sherlock, and on the other there’s the lazy, violin-playing, theatrical master of disguise. To me, this suggests that Sherlock as an impressionable kid fell under the spell of two mentors, each of whom tried to pull him in different directions, and that’s the underlying theme of the entire Young Sherlock Holmes series – a fight for control of Sherlock’s soul by two father-figures. Amyus Crowe is the first, and I based him partially on John Wayne in ‘True Grit’ but more on a character named Skua Spetember in Alan Dean Foster’s SF novel ‘Icerigger’ (which I thoroughly recommend to anyone). Amyus Crowe is a genial American from the deep South with a background in hunting and tracking, and he can teach Sherlock about the observation of small details. The second is named Rufus Stone, and he’s a violinist of gypsy descent who will turn up in the second book and will have a large part to play in the third. Amyus Crowe and Rufus Stone do not like each other, but they both treat Sherlock like a son. This question contains spoliers - highlight with your cursor to read it: His Last Bow, chronologically the final Sherlock Holmes instalment by Conan Doyle, sees Holmes having retired to the countryside to keep bees. His interest in bees has never been explained until now. How did you decide on using bees as a plot feature in Death Cloud? As I read Death Cloud I could see the germination of some of the character traits that we know in the adult Sherlock Holmes. Have you already decided which traits you are going to develop in each book of the series? I know that Sherlock has to learn martial arts at some stage, which will probably mean going to Japan (one member of the Doyle family works extensively in Japan, and is very much in favour of this idea). He will have to learn the violin, which starts in Book 2 on a sea voyage to New York. He will have to take boxing and sword-fighting lessons, although I’ve already set up the fact that he knows he has to do that. And he’ll have to get involved with a theatrical troupe in order to perfect his later ability to disguise himself. Apart from that he’ll have to start stocking his brain with lots of detail about tattoos and tobaccos, and generally learn how to think rationally. This question contains spoliers - highlight with your cursor to read it: Baron Maupertuis is one of the most fantastic and physically gruesome villains I have come across in YA literature – in which nightmare was the idea for this character born? It’s hard to remember now, but I do know that the Baron was virtually the first thing that I developed for the story, before the plot and anything else. I just loved that vision of a man who was in one way controlled by shadowy people behind the scenes but in another way was controlling them. The original title for the book was ‘Shadow of the Marionette’ (before being changed to ‘The Colossal Schemes of Baron Maupertuis’ and then ‘Death Cloud’) Where the actual image came from I’m not sure. Somewhere in the depths of my mind I think it links back to the time that Justin Richards (‘The Invisible Detective’ and various ‘Doctor Who’ novels) and I were at university, and he was explaining the concept of the uber-marionette in theatre – the performer who would be completely subjugated to the will of the director. I think that’s where it came from. 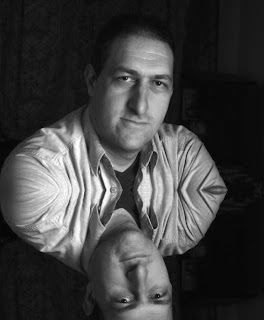 Justin had this theory that the script for the Walt Disney sci-fi movie ‘The Black Hole’ was a hidden exploration of the theory of the uber-marionette (the names of the main antagonist and of the main robot are, apparently dead give-aways). Victoriana has become increasingly popular over the last few years with the rise in popularity of the steampunk genre. Have you read any books from this genre? I’ve loved Steampunk ever since it started, which I would argue was with the triumvirate of Tim Powers (‘The Anubis Gates’), K.W.Jeter (‘Infernal Devices’ and ‘Morlock Nights’) and James Blaylock (‘Homunculus’). I think the genre has pretty much run out of steam (ha-hah!) now, but for a while it was probably the most interesting thing going. Which actor portrays your favourite screen incarnation of Sherlock Holmes? I flicker between Robert Stephens in ‘The Private Life of Sherlock Holmes’, for his vulnerability and his acerbic wit, and Christopher Plummer in ‘Murder by Decree’, for his humanity. Have you seen the Robert Downey Jr Sherlock Holmes movie? If so, what did you think of it? I loved the film. The script took little background elements from Conan Doyle (like the scene where Holmes describes the owner of a watch) and built them into something marvellous, and the film itself reverses the usual trick of having Holmes as the straight man and Watson as the bumbling comedy relief, and instead has Holmes as the comedy relief and Watson as the straight man. Very, very clever. There have been many Sherlock Holmes novels written by a variety of authors since Conan Doyle died. Do you have any particular favourites? Richard L. Boyer’s book ‘The Giant Rat of Sumatra’ has always been on my top ten list, as has Robert Lee Hall’s ‘Exit Sherlock Holmes’. Michael Hardwick’s ‘The Revenge of the Hound’ is an excellent novel. Michael Dibdin’s ‘The Last Sherlock Holmes Story’ is equally excellent, but very depressing. I also like Michael Kurland’s books about Sherlock’s arch-enemy Moriarty, in which Moriarty is a criminal but not as all-powerful as Sherlock thinks, and Sherlock seems to have become obsessed with trying to prove that Moriarty is responsible for every crime in London. The first of the books is ‘The Infernal Device’, and it’s well worth seeking out. Have you ever considered writing an adult Sherlock Holmes novel or are you happy sticking to the YA market? 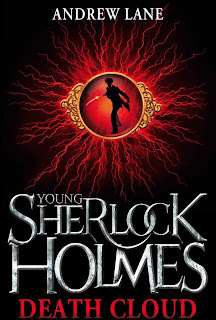 I’ve always had plans to write an adult Sherlock Holmes novel, but now that I’m writing Young Sherlock Holmes I’d like to write a book about a grown-up Sherlock living in London with John Watson, but bringing in characters and events from the YA series. Perhaps the return of Baron Maupertuis – who knows? A number of books by the likes of Charlie Higson and Anthony Horowitz have been adapted into graphic novel format, as have a number of Holmes stories. Have you read any of Edginton and Culbard’s Sherlock Holmes graphic novels, and how would you feel if Death Cloud was given a similar treatment? Graphic novel adaptations of books are a bit of an odd cross-breed, I’ve always thought. The way one structures the plot is different, and while books give you insights into what the characters are thinking graphic novels are entirely focussed on what things look like and the expressions on people’s faces. I’d far rather write an original story to be done as a graphic novel (if any publishers are reading this – please remember what I’ve said!) And my choice of artist would be Mike Collins, who I’ve shared convention bar space with on several occasions. Apart from Sir Arthur Conan Doyle, who are your greatest literary influences? The writers I keep going back to are Tim Powers (the virtual inventor of Steampunk), Jonathan Carroll (the master of the gripping first line and the amazing twist), Stephen Gallagher (a supreme master of construction and of building character) and David Morrell (for the way he builds tension and has his protagonists spending as much time fighting the landscape as fighting the enemy). Strangely, I’ve just been rereading a lot of Larry Niven’s SF, and I’m quite surprised how much what I’m doing now is similar to what he was doing back in the 1970s and early 1980s. I must have read him originally at an impressionable age. Lots of stuff. Tons of stuff. I’ve actually acknowledged in the front of ‘Death Cloud’ the main writers whose books I read when I was younger. The ones I particularly remember now are Andre Norton (an American science fiction and fantasy writer), John Christopher (author of the classic Tripods books), Malcolm Saville, and Capt. W.E.Johns (author of the ‘Biggles’ books). Oh, and E.C.Tubb, and the entire Perry Rhodan series. I gather that over the years you have amassed quite a collection of Sherlock Holmes related books. Could you tell us any more about this collection? I started off back in the late 1970s, early 1980s collecting as many Sherlock Holmes adventures by authors other than Arthur Conan Doyle as I could. I’d seen some of them, and read them, in my local library, but the obsessive-compulsive part of me wanted them all on the shelves in my room (and the libraries tend to want their books back after a while – damn them!) So I’ve ended up now with several hundred Sherlock Holmes adventures, ranging from the excellent to the absolutely terrible, plus a whole load of reasonably rare literary criticism revolving around the character (long essays by people using ambiguous quotations from the Conan Doyle stories to “prove” that Watson was married four times, not three, or that Sherlock went to Cambridge not Oxford). And numerous dictionaries listing every character and object mentioned in Conan Doyle’s stories, which only come in useful if I want to know something like where Sherlock Holmes got the Persian slipper that he keeps his tobacco in (a question I was actually asked today, as it happens). I know that Death Cloud hasn’t been released yet but can you give us any hints as to what we can expect from your next book in the series? In your author’s afterword you mention something about the “repulsive Red Leech”. What I can say is that the book starts in England, but shifts to America after a while, and pits Sherlock against a villain who is possibly even more disturbing than Baron Maupertuis. And yes, the mysterious red leech makes an appearance. Arthur Conan Doyle refers to “the repulsive story of the red leech” as being a case that Sherlock was once involved with. Well, this is it. I think they’ve heard more than enough from me already! 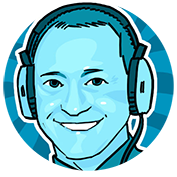 I know that Andrew has been amazingly busy on the run up to the publication of Death Cloud, including many radio interviews for stations up and down the country and so I am incredibly grateful for the time he has obviously spent answering my questions. Death Cloud is officially released on 4th June, but I have already seen it on the shelf in my local Waterstones. I loved Death Cloud and I am already looking forward to the next episode in the life of Young Sherlock Holmes. Excellent interview. Thank you. Just finished Death Cloud and thought it was fantastic. Looking forward to Red Leech. I just finished this book this morning. It was absolutely spectacular. With a plot so convoluted it reminds me if Da Vinci Code, this is one of the best books I've ever read.